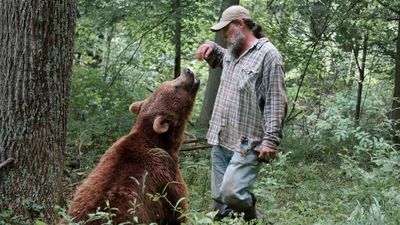 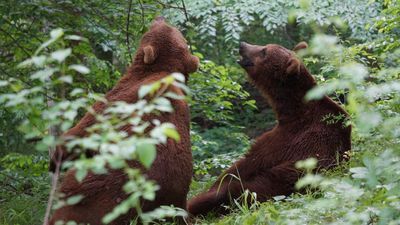 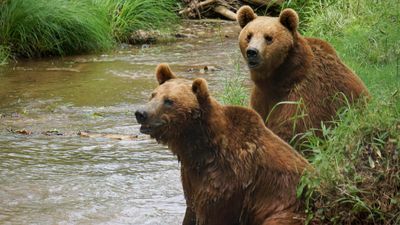 Brand new to Animal Planet in November, PROJECT GRIZZLY follows Jeff ‘The Bear Man’ Watson and the incredible journey he takes with his two rescued bears, Bob and Screech, as he attempts to return them to the wild. 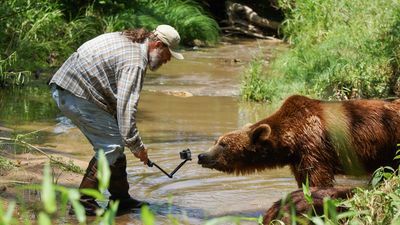 Watson, an experienced bear trainer, has lived with and trained grizzly bears his whole life and adopted Bob and Screech as cubs. 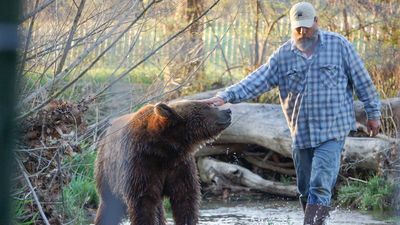 But now fully grown adults, he must teach the bears every skill they don't currently possess in order to survive in their natural habitat, from hunting down their own food to fighting off other unfriendly grizzlies. 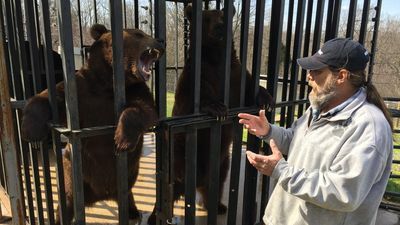 The bears, accustomed to human interaction and with Jeff doting on their every need, have a long way to go before they can be released into the wild. 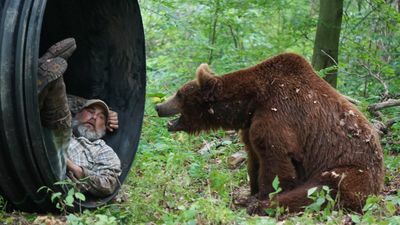 The pressure intensifies as Jeff transports the bears to a huge enclosure and plans on sleeping in there with them to gradually adapt Bob and Screech to a life without him.